The saying “can’t see the wood for the trees” resonates in the Manchester music scene. So many bands, so much attitude, so much history. How can you tell what is real and what is fake? Some bands succumb to the vacuum of the scene, absorbing themselves in the pomp and the glory of spin-doctors, always itching to be the next big thing. Some bands. …. 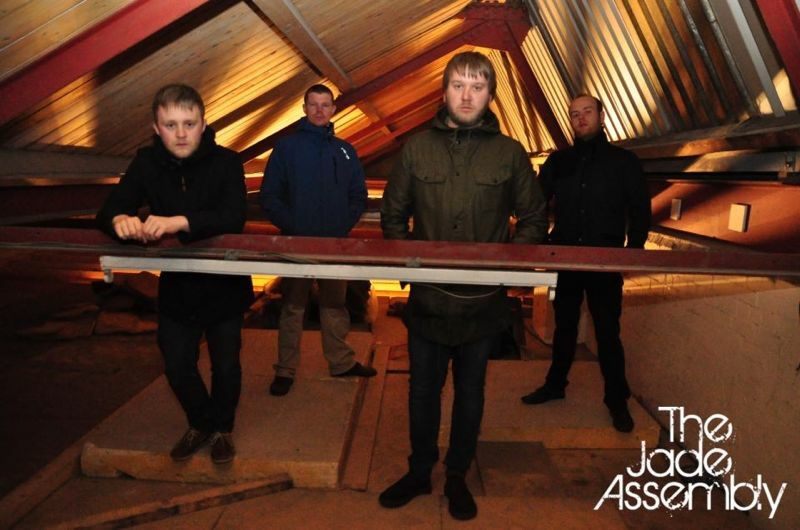 The Jade Assembly are not ‘one of those bands’. On the surface, their demeanour is typical of an indie rock outfit. But brimming underneath the exterior is a thousand emotions, waiting to be exposed. Emerging unscathed from years of well-trodden paths of punk and indie is a band that now display all the hallmarks of a new northern treasure. …. There is nothing fabricated or posed, just an inescapable force of conviction in their music. From the passion of Watson and Danny’s rhythm section, to the raw power of Smed’s guitar work, each Jade tune feels right, there is a sense of purpose, nothing is contrived. All of this is built on the main point of difference, in John Foster (Foz), they have a true northern poet. A songwriter that places honesty above favour, a frontman who possesses an imposing sense of belief, not devoid of arrogance – but full of commitment.